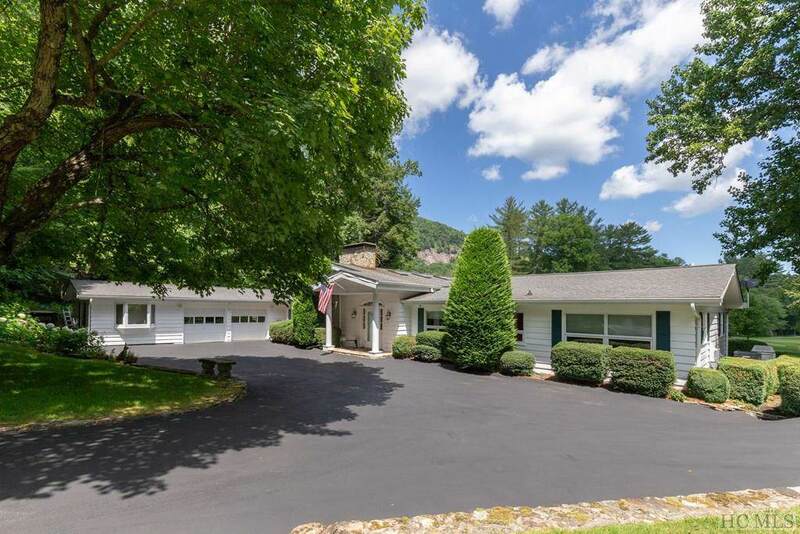 Incredible mountain home in idyllic premier setting in the Country Club of Sapphire Valley with amazing views of #15 & #16 and mountains, rock-faces beyond. Large open floorplan with big great room featuring soaring wood-burning fireplace. Wonderful remodeled kitchen with high-end appliances. Glassed-in sunroom off great room out back surrounded by golf course & mountains. Split bedroom floorplan with big master suite.. Extremely gentle property with gardens. 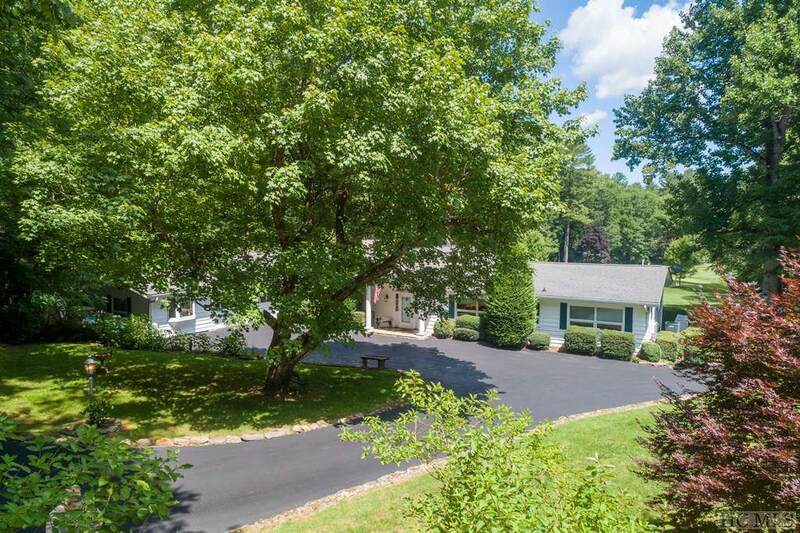 Paved circular driveway leading to two car garage. 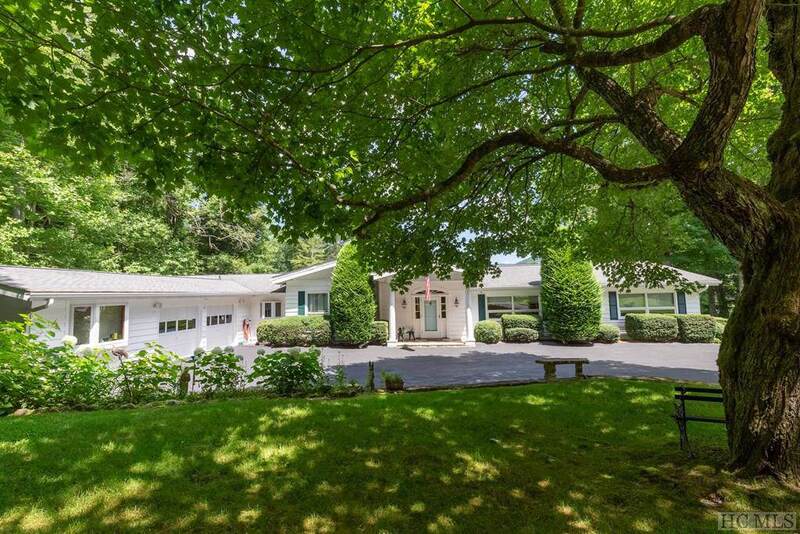 Easy gated paved access in the heart of Sapphire Valley. This is one of the original developer's homesites, and one of the best homesites in CCSV. 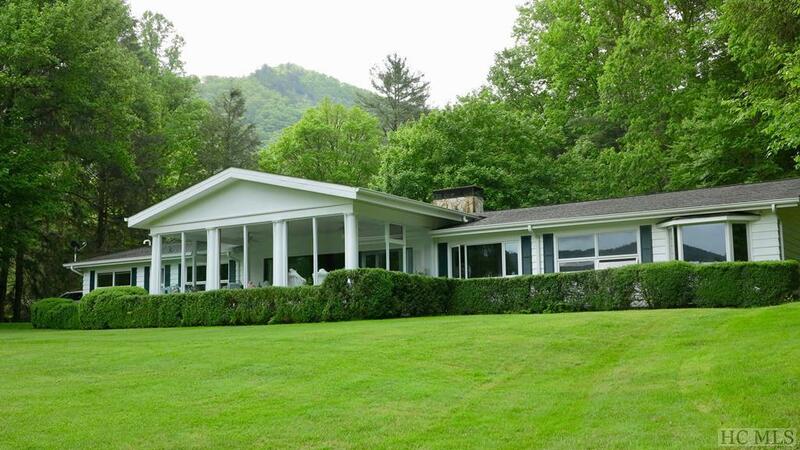 All on one level living in the heart of the Blue Ridge Mountains!